Dartmoor Windows work in partnership with a large local fabricator to help create our Liniar profile composite door frames with DoorCo GRP composite door slabs. Working closely with our fabricators and manufacturers offers us more control of the quality of the finished product and, in turn, more variety to our clients with the glazing and hardware preferences that go into creating your unique made to measure composite door. These doors are high security GRP Composite residential doors are produced using the same Liniar profile system as the windows keeping the continuity of our uPVC Range. High security insurance friendly multi point hook locks, barrel (3 key standard) and 3 hinges all help create these super safe doors, which with the correct style, design and finish are suitable for creating a real entrance, either the Front entrance door or rear access door to your property. 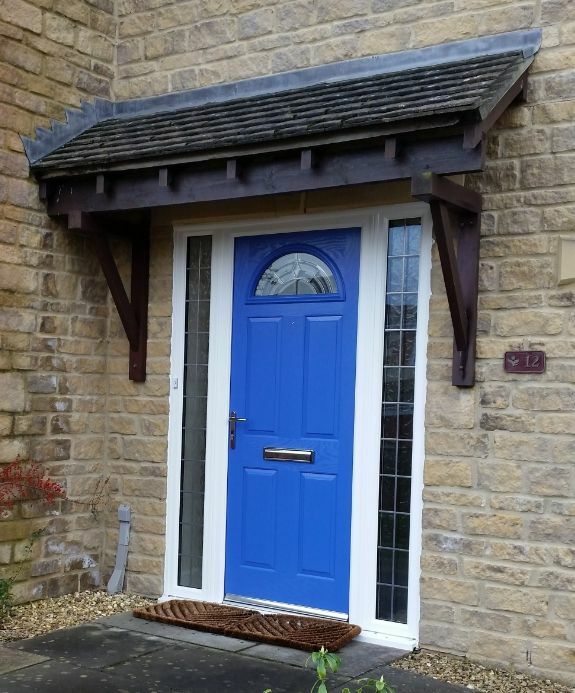 COLOUR AND GRAINED FINISHES - When choosing one of Dartmoor Windows GRP composite doors our clients tell Elaine and Michelle the most preferred reason for this is, owing to the multiple colour options, it offers the opportunity to add real individuality and uniqueness to their property. There are, of course, stock colours of white, red, green, blue and black externally with white internally, but there is also the scope to be completely individual with the custom factory sprayed options. With so many choices we invite you to visit our showroom to see an example of the GRP composite door. Whilst here please also look through the brochures and discuss with either Elaine or Michelle all the options available to you. Additionally, you can follow the link below to the door slab manufacturers website where you can look through the three electronic brochures to make any selections prior to contacting us.